The Meya Prosperity Diamond. Photo by Graff Diamonds. The chairman of Graff Diamonds, Laurence Graff, bought a 476-carat stone from Sierra Leone, called the Meya Prosperity Diamond. The rock was unearthed back in November by Meya Mining, a company jointly owned by Namibia-based conglomerate Trustco Group and Germinate Sierra Leone. It was found in an area spanning from the Kamara Gbense to the Tankoro chiefdoms of the Kono district, located in the Eastern Province of the African country. Five days prior the discovery, Meya was announcing the final sign-off of its newly-built mining plant. 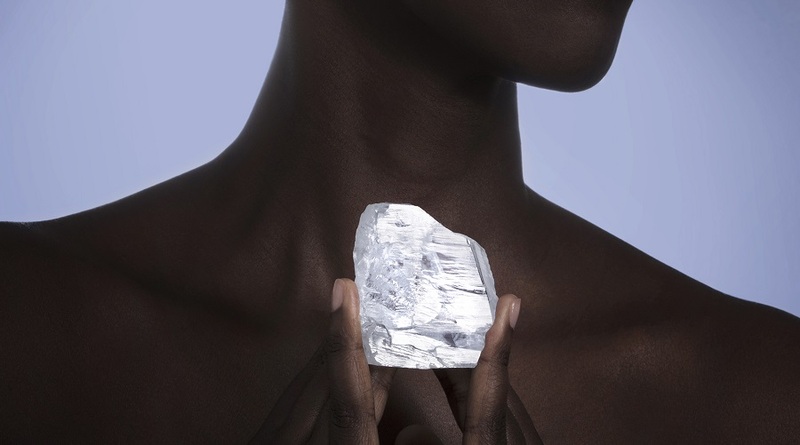 According to Graff, the Meya Prosperity Diamond is the 29th largest diamond ever uncovered and the 5th largest from Sierra Leone. It was buried in the same ground where the 709-carat Peace Diamond, which the jeweller bought for $6.5 million, was discovered. “This year we have acquired four of the most important diamonds in history, we are extremely proud to be the custodians of such exceptionally rare stones. Our expert team will now spend time analysing the Meya Prosperity, and the coming months will bring much excitement as we begin to unveil the results of cutting and polishing these incredible stones,” the London-based luxury retailer said in a press release. With this latest purchase, Graff Diamonds says it has acquired, cut and polished the majority of the top 21 largest stones of the 21st century.